Acid-free, ph-neutral, bevel cut, single mat with a white core that will not yellow over time. Hanging hardware for vertical or horizontal wall display. 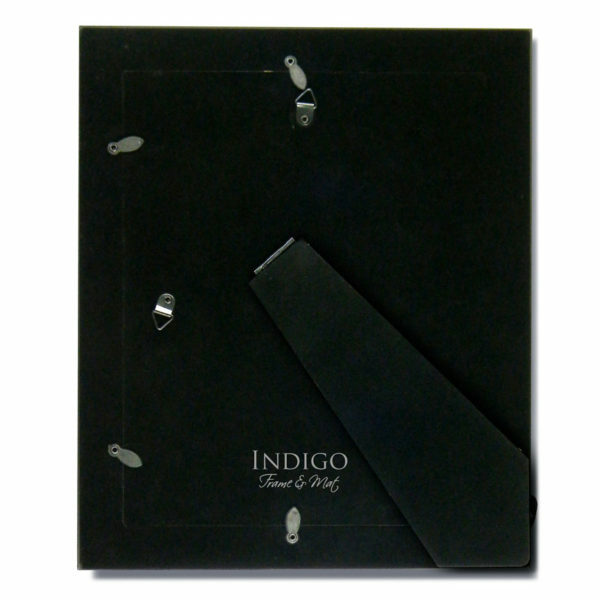 Easel-backing for table top display on frame sizes 8×10 only. Our Rustic Blue Frame with White Mat includes clear glass and backing with flexible metal clips for easy assembly of photos or art. 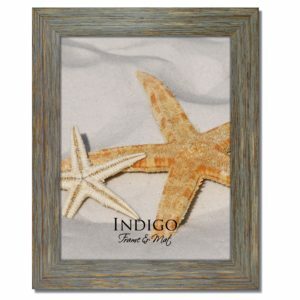 The picture frame’s composite moulding is 1.25″ wide with a flat, textured profile in a multi-colored bluish wash. The single, pre-cut mats are acid free, ph-neutral, bevel cut with a white core that will not yellow over time. Small Frames (up to 8×10) include easel backing pictured above for table top display. Larger frames (11×14 and up) do not include an easel backing and are meant as wall frames only. Hanging hardware is included for either vertical or horizontal display. 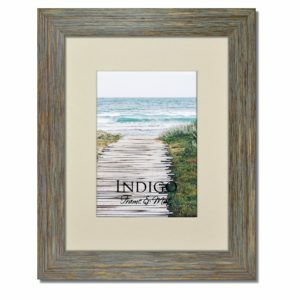 Rustic Frames offer plenty of depth to accommodate single or double matting. These are new frames in excellent condition and each one is shrink wrapped for added protection. Our pre-cut mats are packaged separately in clear cellophane bags. **Please note that the openings are cut 1/2″ smaller than the image size so that the photo or art can be affixed to the back of the mat without falling through. For example a 8×10/5×7 mat has an exact opening of 4.5″ x 6.5″. 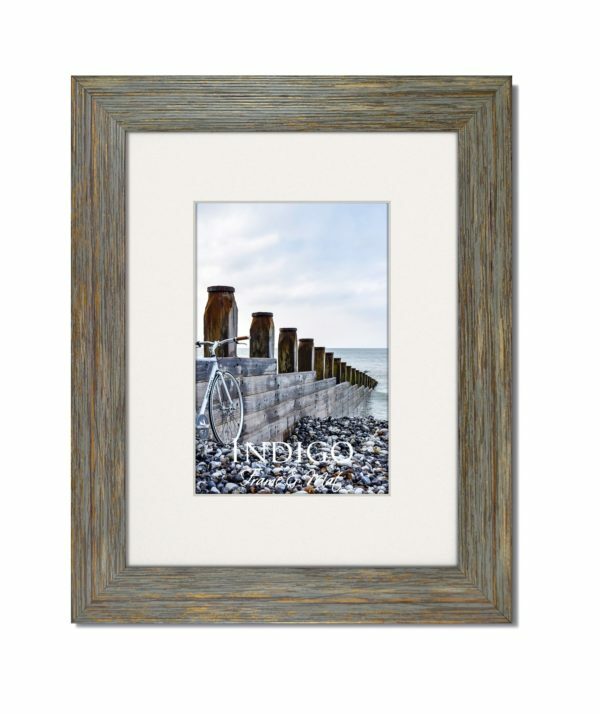 With contemporary styling the Rustic Frames work well with portraits, artwork and photography.